Saving money is on every small business owner’s shortlist. 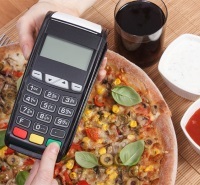 There are some very simple ways to save money with your POS system that are often overlooked. 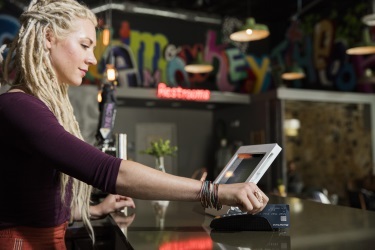 Leveraging your iPad-based POS system however is always a smart bet when looking to cut costs and increase profits. To get you started, here are 5 cost-cutting tips that will save you some major cash. Checking sales on an hourly basis is hands down one of the easiest ways to get your business on the path to saving money. Analyze the data and get in the habit of recognizing trends that might be costing you big bucks. By, let's say, identifying that you sell significantly less the last two hours of your work day, you might then decide to shorten or shift the hours your store is open, which will then help you save money on employee costs and utilities. Identifying sales trends such as this will not only help you save money, but allows you to allocate that time back to business (or personal) tasks you’ve been meaning to tackle. Adopting an accounting solution that works in conjunction with your POS software will allow you access to cheap and easily accessible reporting. Since a certified public accountant can cost you $150 an hour or more, you can say goodbye to expensive accounting rates and hello to saving money. If you aren’t paying attention to cost of goods sold, or COGS, which is the amount you pay to acquire an item, in relation to your gross profit, you’re doing yourself a disservice. Paying close attention to COGs can help you increase profits down the road. Think of it this way: just because you make a $5 profit off of two different items doesn’t mean those items are created equal. If it costs you $25 to acquire item A and $125 to acquire item B, you’re ultimately able to purchase (and potentially make) more off of item A. If you’re operating on a shoestring budget, being able to purchase more units for less in the beginning will be more beneficial to you then only having the cash to purchase a few. More available inventory to sell equals more revenue opportunities. Cha-ching! When you pull accurate sales data from your POS system, you not only simplify the tax process for yourself, but you also potentially save yourself money. Your POS software provides the most accurate sales information possible. It clearly distinguishes sales tax and other non-income fees from total sales. So instead of having to take the time to calculate your final gross receipts, simply pull the information from your POS report and be confident in its accuracy. When both the gross receipts and the returns and allowances figures are correct, you can be sure you’re neither over or underpaying on your taxes. A good POS system should give you the option to both print and email receipts. Do yourself and the environment a favor by saving some paper and some money. Encourage your customers to have their receipts emailed to them. In addition to the money saved, you’ll also be collecting email addresses, which you can add to (or jumpstart) your email marketing efforts. 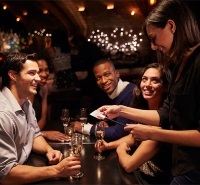 Now that you’ve learned a few ways for saving money with your POS, we encourage you to apply these tips to real life. No two businesses are the same, so use what works for you and table the rest. 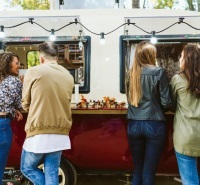 Remember, owning and running a small business is more an art than a science, so a few tweaks here and fine tunes there and you'll be saving money in no time.